Long-time Jeopardy! fans know that the show’s writers like to get creative with their category titles, threading in themes, rhymes, and fun little punchlines for attentive fans to catch. (An example from a recent episode: The actor-focused “Jeff Bridges” in the first round leading into the geographical “Beaux Bridges” in the second.) 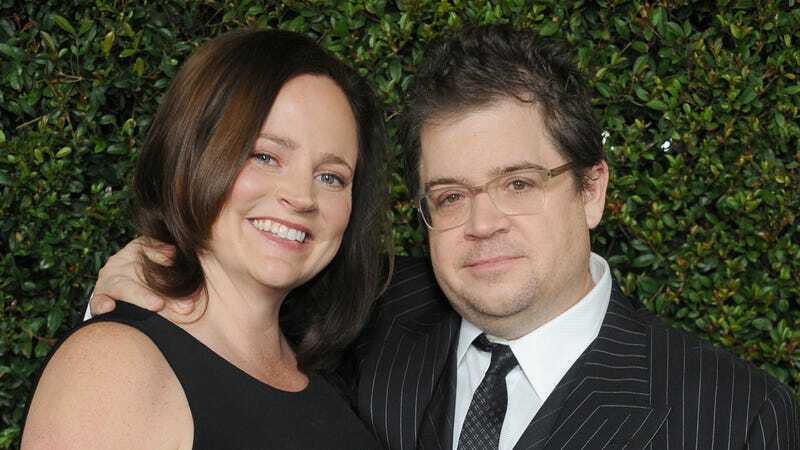 The long-running trivia series took that impulse even further in tonight’s installment, though, taking the opportunity to offer up a sweet, subtle tribute to the late crime writer Michelle McNamara and her former husband, Patton Oswalt. Specifically, tonight’s Jeopardy! round ended with two category names paying tribute to McNamara, the consecutive “It’s Chaos” and “Be Kind.” Fans of Oswalt’s stand-up—and, specifically, his 2017 special Annihilation, in which he talks extensively about his grieving process after her death in 2016—will know that that four-word phrase was McNamara’s mantra for getting through this confusing, frequently awful and cruel thing that we call life. Host Alex Trebek didn’t call attention to the shout-out when it came up on the show, but fans were quick to notify Oswalt when they caught it. He issued a note of thanks to the show’s writers earlier tonight.